Your local Brazilian Jiu-Jitsu School in the Hoppers Crossing area! Victoria’s only premium Gracie Barra Brazilian Jiu Jitsu Certified School! 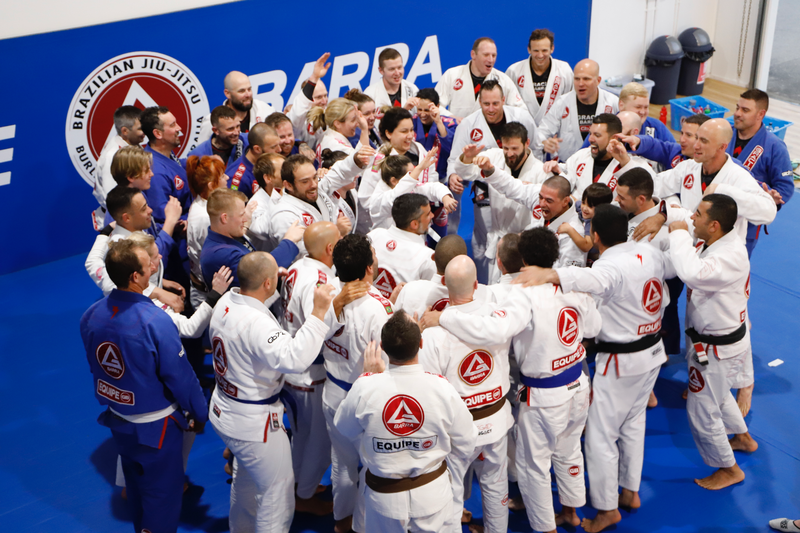 Gracie Barra is a premium Brazilian Jiu Jitsu school with a mission to teach the highest level of Brazilian Jiu Jitsu and practical, reality-based self defense and fundamental mixed martial arts to our local community. Our classes are aligned with the Gracie Barra Brazilian Jiu Jitsu Program Structure developed by Master Carlos Gracie Jr. to meet the specific learning needs of people from different ages, genders, and levels. Our family-oriented environment is a perfect place to learn Brazilian Jiu Jitsu, self defense or mixed martial arts, and to teach your children to feel safe every day with our specialised anti-bullying approach – not only when they are at school or outside playing – but also from within by developing their self-confidence and self-discipline. Our clean, friendly and progress-minded environment allows for both a challenging and inspirational learning and training experience that aims to encourage and make our members excited to come back. Gracie Barra Hoppers Crossing is for anyone who values discipline, wellness, martial arts, and respect. We are sure you will find an exciting and challenging place that will allow you to achieve your fitness goals. One of our professional coaches will be in touch within 24 hours. Excellent and professional teaching and training. Everyone is treated like family. This place is home. Quality Jiu-Jitsu with a set curriculum handled by very professional coaches. ALso has the most wonderful group of people to train and grow with. Oss. Gracie Barra top shelf Jiu-Jitsu. Come check it out. Great frineldy place to train BJJ. Awesoem coaches, team members and atmosphere. Love this place! Great teachers and great fun!